April here! 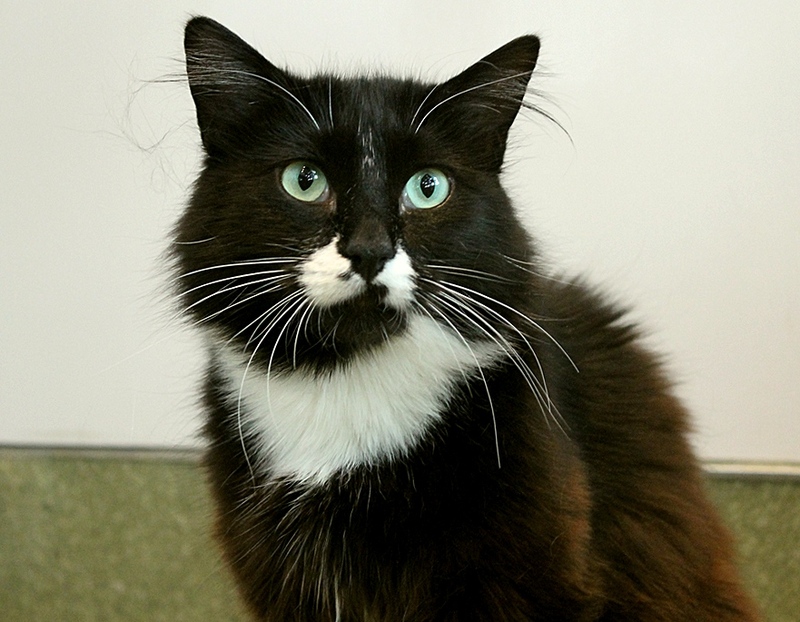 I’m an adorable little 2-year-old kitty looking to bring Spring-time to your life year-round! My demeanor is as flowery and bright as a gorgeous April day — I am playful, incredibly sweet, and I make quick friends wherever I go! I absolutely adore children and would make a wonderful family pet. I also have no issues with other animals… in fact, I don’t think there’s anyone I’ve met who I don’t like! I make fast friends with all the neighborhood kids that live around my foster home. I was brought to Pixie as a stray mama cat with my kittens, who’ve since grown up strong and healthy and been adopted by forever families. Since I was so used to living outside before, it seems that I’d really prefer to have that access again, or at least a big space with a catio that I could hang out safely in. I’m not shy at all and don’t mind a very busy household. I seem to enjoy lots of activity and of course, plenty of attention. I am very healthy and just adorable with my semi-fluffy coat and swishy tail — don’t you agree? All I need is a forever family to make my life complete! Are you looking for a fun, friendly girl like me? Fill out an application to meet me today! I come to you fixed, vaccinated, and micro-chipped for an adoption fee of $100.